Rat Race: The Legend of Rex - In a rat race, you’re constantly striving to escape reality and change environments to possibly change your cyclonical mindset. However, it is said that when you win the rat race, you’re still a rat. Rat Race: The Legend of Rex depicts that scene in a fun manner and you’ll enjoy it. From one of the top development companies in the world births this amazing, highly addictive game. Discover your instinct capacity as you speed through the environments of a rat dodging obstacles while escaping from Sam, The Security Cat. 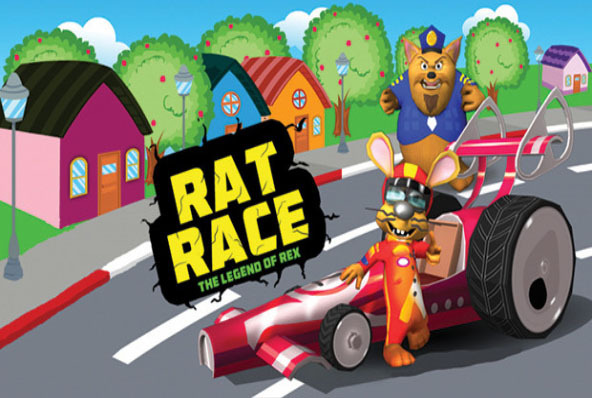 Rat Race: The Legend of Rex: install APK and play the game.